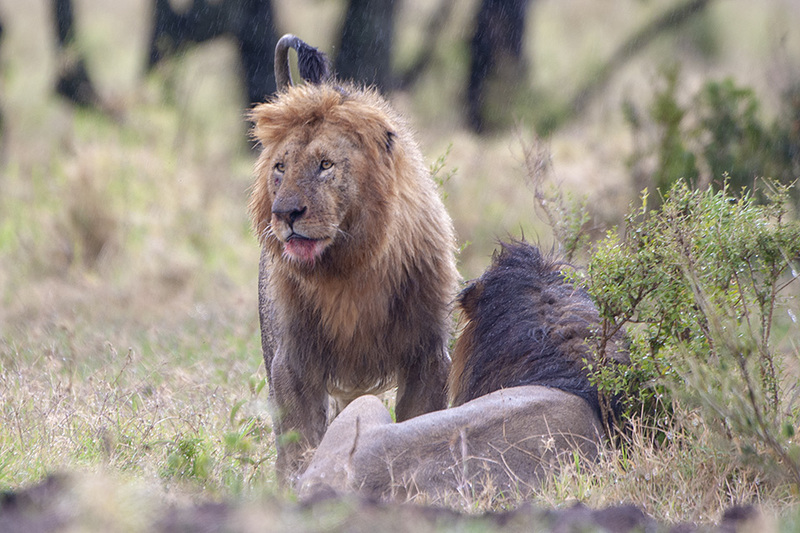 In one of our previous posts, we had featured two Lions that had brought down a Cape Buffalo near one of the gates of the Maasai Mara National Park. 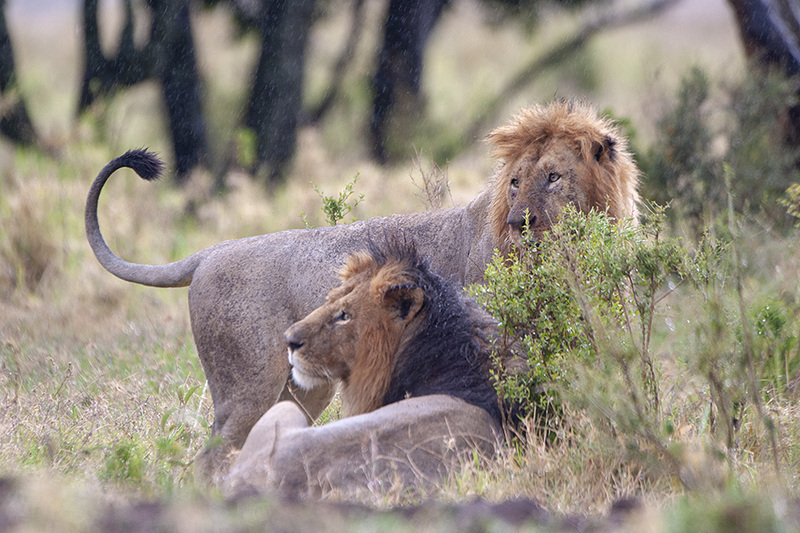 While one Lion feasted on the kill, the other kept watch. 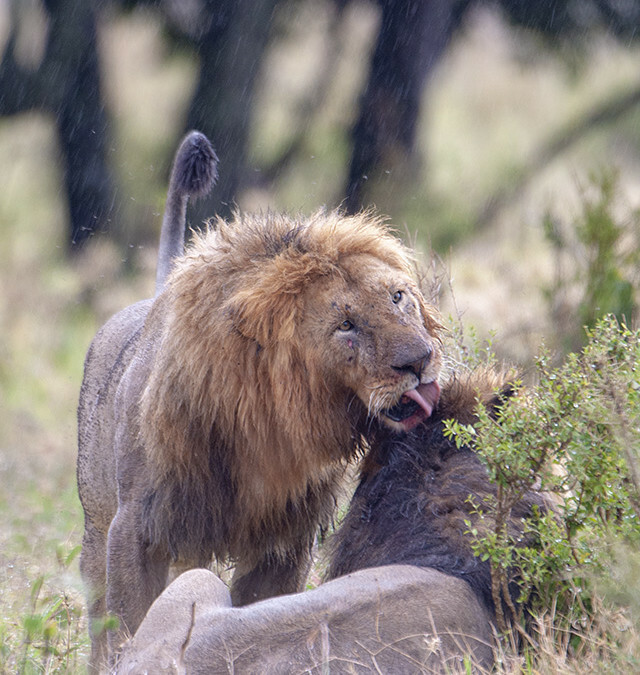 After he ate to his heart’s fill, he headed towards his sibling who kept watch nearby. 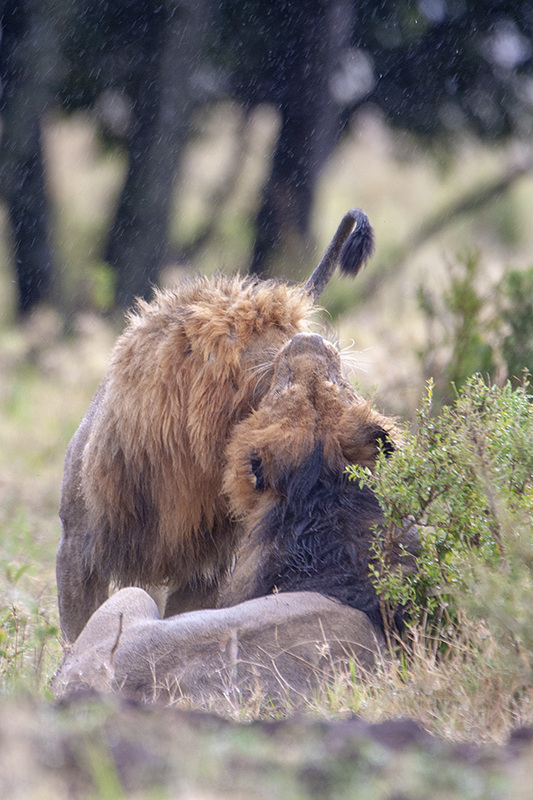 It had started to drizzle, and given the light rain, we thought the show was over. 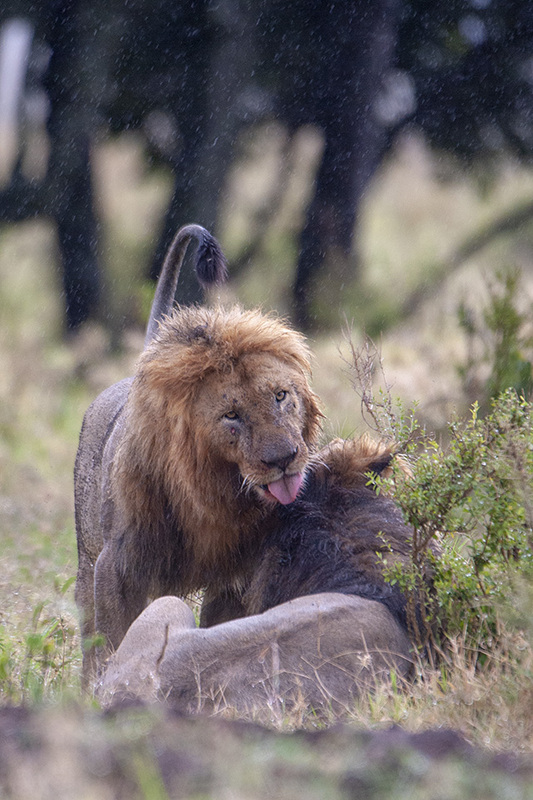 Just then we saw one off the brothers start licking the water droplets off his sibling’s mane. 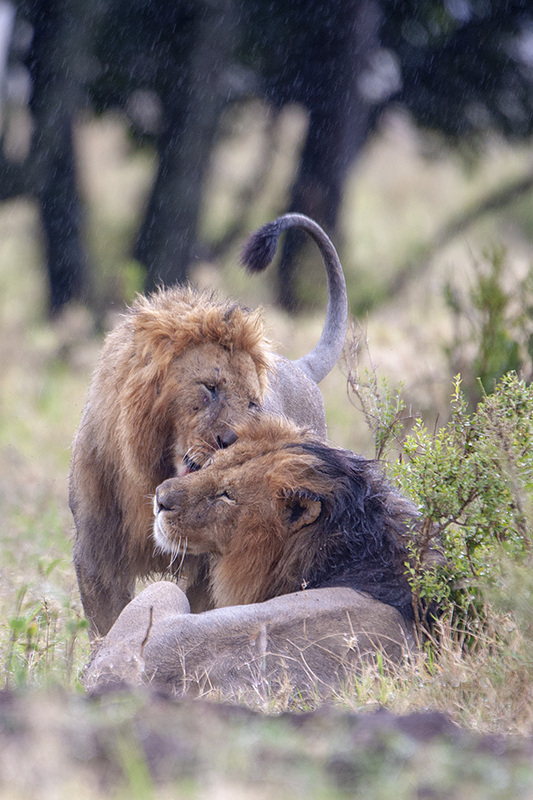 This social behaviour of the African Lion brothers was an amazing sight to watch.